Learning to play the acoustic guitar is an incredibly exciting hobby to take on. Many people aspire to be full-time musicians, famous for their lyrics and chords. But the great thing about playing the acoustic guitar is that you don’t have to be famous to be amazingly talented! 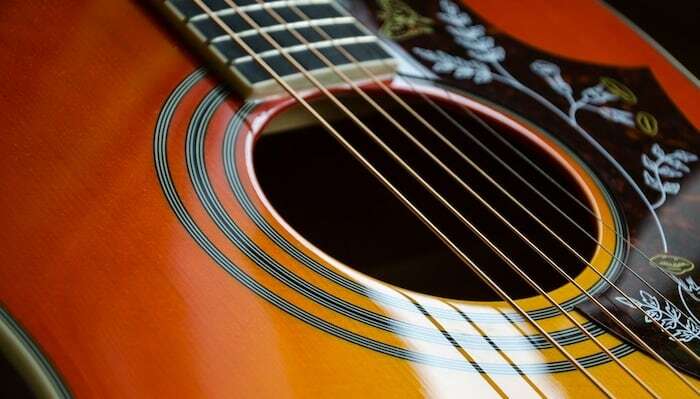 Finding the right acoustic guitar for beginners isn’t always the easiest task. Many of us want to jump right in with the $3,000 top of the top, but it’s not always the best choice. 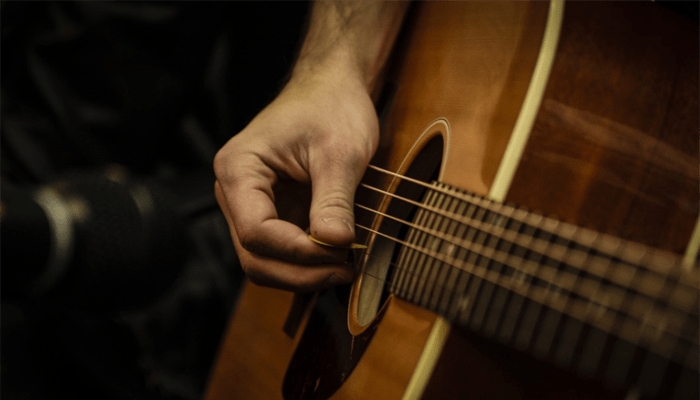 Starting off with a training guitar or even just a decent $500 acoustic guitar is a perfect way to start out on your journey to musical perfection. How much does a beginner acoustic guitar cost? How to buy a beginner acoustic guitar? 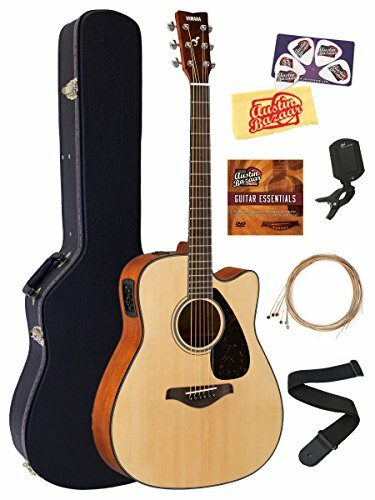 Which guitar strings for beginner acoustic? 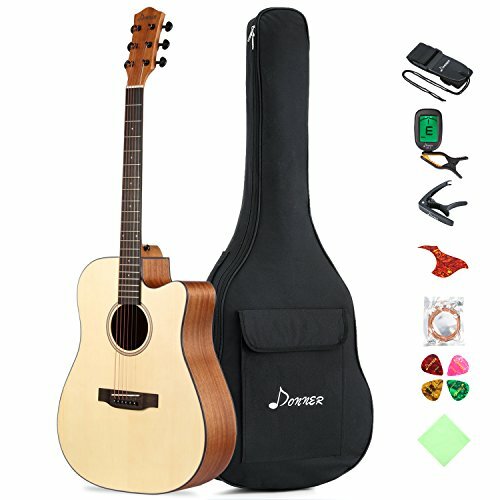 What is a good cheap acoustic guitar for a beginner? 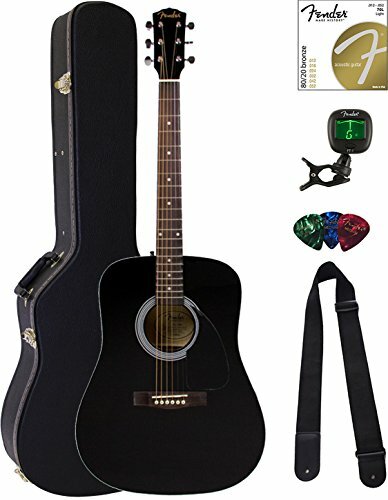 Best acoustic guitar for beginner adults? Best acoustic guitar for beginner children? We’ve searched all over the internet to find the best beginner acoustic guitars, and we’ve found some pretty great choices for you! Learning a new hobby is enough of a challenge, so sit back and relax while we weed out the bad choices and show you our favorites. In the end, it’s all about having fun and enjoying your new guitar, so hopefully we can get you one step closer to being the next Eric Clapton! Want a top quality instrument? We've reviewed the best acoustic guitars under 1000 bucks. No need to go out and buy everything separately. Save money and time by buying this kit! With all the different additions to new acoustic guitars, you might feel a little overwhelmed. There’s the picks, the case, the guitar straps… The list goes on. Luckily, this kit has all of the above with an added digital tuner. Tuners are very important, especially since new acoustic guitar strings tend to stretch and go out of tune. There are many body styles for acoustic guitars, with dreadnought near the largest. It’s easier to learn for some since the frets and strings are further apart. This prevents messing up or hitting the wrong chord. This set includes everything you need to get started on your journey to become an expert acoustic guitar player. With the guitar, picks, tuner, case, and straps, there’s nothing else you need to start learning immediately. + No need to go out and buy everything separately. Save money and time by buying this kit! Why We Liked It - We’ve said it numerous times, but buying a kit is so much more cost effective. The beautiful bridge and large body produce a vibrant, deep sound that carries your music to the ears of your audience. This vintage sunburst colored acoustic guitar is one of our top choices for beginners. The unique appearance is sure to be a topic of discussion, almost as entertaining as your newly learned guitar skills! The bold sound coming from this instrument will guide you through the learning curve in no time. 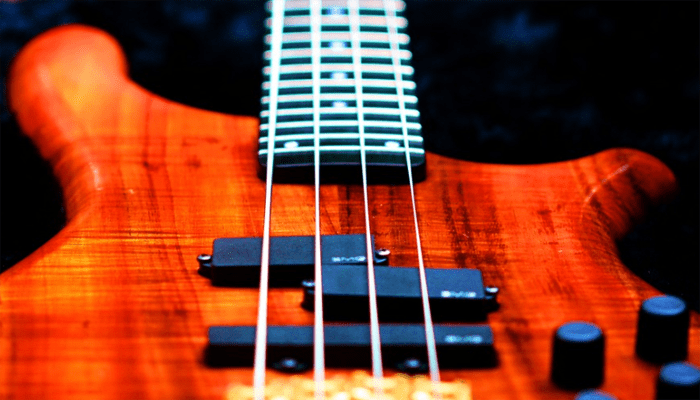 The headstock plays a much more important role than many musicians think. 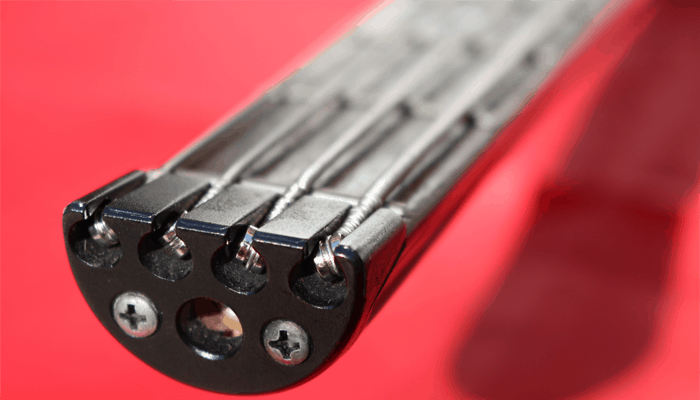 The degree of the headstock dramatically affects the tightness of the strings, thus the tone and ease of play. The 14-degree angle of this headstock is perfect for beginners since it offers decent give with smooth chord transitions. The DR-100 comes in a ‘vintage sunburst’ design that appears truly professional. You’ll wow friends and family on the appearance alone! The rosewood combined with the spruce top and mahogany body produces a fantastic sound, unlike many other kinds of wood. Why We Liked It - The design combined with the mahogany build makes this acoustic guitar one of the few that we could truly recommend. Most of the competition costs twice as much as this guitar! For those of you looking for a smaller framed acoustic guitar, the Yamaha FS800 is an excellent suggestion. People with shorter arms or fingers can find larger body styles difficult to use. Luckily, there’s plenty of small bodied options such as this one. Having such a small body offers many different benefits. Although many musicians prefer large dreadnought style acoustic guitars, there are also many of us who find them difficult to use. 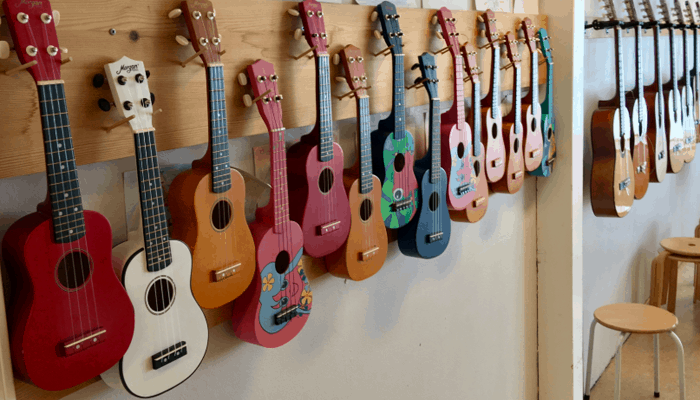 A smaller body style also means that you can teach children to play guitar while you’re learning as well! While finding everything you need for your acoustic beginner setup might be a challenge, this kit takes out all the guesswork. No more wondering which strings or casework with which guitar. Everything is included and made for the FS800. Why We Liked It - Smaller bodies are better for many musicians. 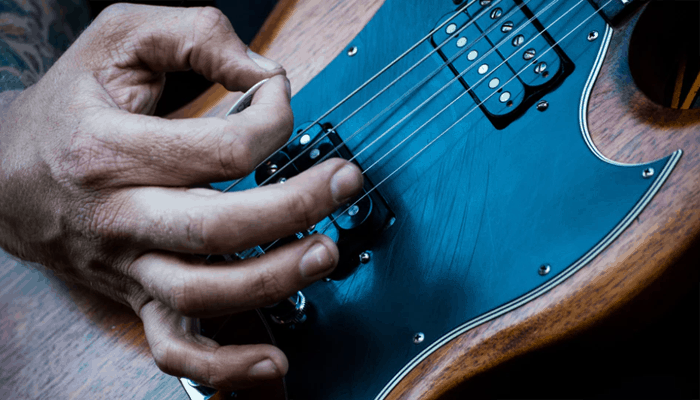 Even some guitar players with longer arms and fingers enjoy the ease of mobility and chord changes that come with having a guitar with a smaller body. For a modern take on a classic guitar, the Yamaha FGX800C is definitely worth a look. It’s got the classic body and style while having the functionality of many modern electric acoustic guitars. Most beginner acoustic guitars can’t hook into an amp. That would usually make them cost too much to be considered ‘beginner’. However, this cheap model hooks up to an amp no problem! What’s better? You get the same smooth sound as you would without an amp. See fully electric guitars for beginners. 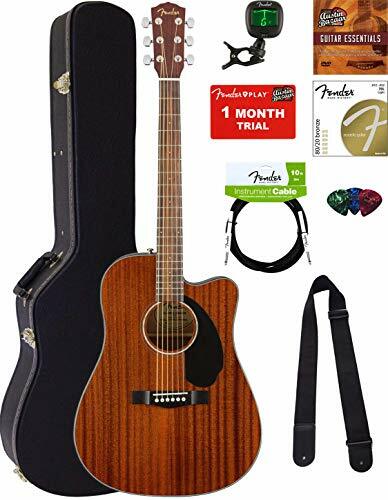 This kit includes the guitar, strings, digital tuner, soft cleaning cloth, straps, the hard case, and more! All of the extras would usually cost well over $100, but it’s included with this beginner acoustic. Why We Liked It - Other than the electric part, there’s nothing too fancy about this acoustic guitar. It’s a perfectly simple and classic instrument with everything you need and nothing you don’t. Another cheap and great electric acoustic option is the Fender CD-60SCE. It’s a large dreadnought body style for budding musicians getting ready to hit the stage. Practice unplugged, then when you’re confident in your skills you can show off with the amplifier. Mahogany is a classic wood choice for guitars, and for a good reason. It’s durable, and it also allows for a vibrantly bold sound to come out of the guitar. Many other types of wood cloud or dull the sound, but mahogany has always worked well. The shoulder strap, guitar case, strings, picks, and tuner included making this kit the ultimate gift for anyone who’s looking to start out as a beginner guitar player. The acoustic guitar itself is actually good enough to carry through intermediate to expert level playing. Its beautiful natural wood coloring is also a huge bonus! Why We Liked It - This acoustic guitar is a great option for anyone who wants to play guitar for a long time. If you see yourself advancing, you can stick with this instrument instead of searching for more once you get too good for your current guitar. The Donner 36” Dreadnought Acoustic Guitar comes in a variety of different color options from light to dark tones, all of which look natural. Dreadnoughts are a very popular size because they carry bold sound so well. Paired with the mahogany build, it’s hard to match this guitar at any level. As with many of the other options on this list, this Dreadnought includes a kit. You get everything you would in the other kits, as well as a capo. Capos are used to clamp onto the frets to allow you to play at higher octaves without barring the same fret on each chord. Capos are very rarely sold it kits, so this one is a steal. Made out of the two best kinds of wood for acoustic guitars, this dreadnought doesn’t waste an inch of space. The finest woods pair to make the finest sounds, which is few and far between for beginner acoustic guitars. Why We Liked It - Most of these beginner sets don’t have an extra set of strings and a capo. The fact that this kit does sets it apart from the competition. The Jasmine S34C NEX Acoustic Guitar is a great example of a minimalist acoustic guitar for beginners. Some of us don’t need all the extra bells and whistles, just the bare bones. That’s exactly what this guitar provides. With a set of strings, picks, a tuner, and a guitar case, you’re covered on all the basics of beginner guitar playing. This bundle is nice because everything comes with instructions and details on how to use and properly take care of it all. Spruce is another great wood option for acoustic guitars. Having a laminated layer of protection is always a benefit as well because it prevents scratching and adds a nice shine to the appearance of the acoustic guitar. Why We Liked It - Sometimes you just wanted simplicity and a beginner product that is straight to the point. This kit includes all of that, without all the confusing extra pieces and high prices. For another great beginner acoustic guitar, the Yamaha FG820 is an excellent choice. There’s nothing to fancy here other than the pure quality. Yamaha is known for producing excellent guitars, and they never cut corners to create even the most beginner acoustic guitars. Again, an amazing pair of woods combine to make the ultimate acoustic build. While mahogany and spruce were once very expensive in acoustic guitars, they’re now becoming more and more readily available and cheaper. An angled headstock directly impacts the tightness and sound from the strings. The tightness or looseness of strings can make it a little bit easier to navigate the strings and change chords. It also makes it a little easier for strings to hold to the stock, reducing the chance of fret buzz. Why We Liked It - Spruce and mahogany are excellent choices for building an acoustic guitar. 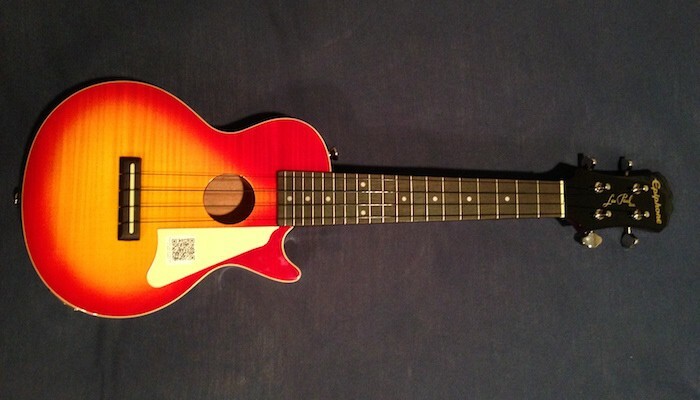 This acoustic also offers many colors and shades to customized your perfect instrument. The Donner DAG-1C Acoustic Guitar is an excellent choice for beginners who are looking for a larger guitar. People with long arms and fingers might find it hindering to use a smaller body guitar, which is why this one shines. This 41” dreadnought is a beast of a guitar! This kit includes everything you need to begin your guitar learning process. You’ll get a capo, some picks, a case, strings, a tuner, the guitar, and more. It’s pretty impressive given that the guitar itself is a well-rounded instrument. Cut away bodies on acoustic guitars add a little bit of a design flare. They’re a fun look, which gives some dimension to an otherwise classic appearance. The large dreadnought frame is great because it boasts a high volume with a deep, resonating sound. Why We Liked It - Musicians are always trying to find new ways to not look like the rest. With this cut away body style, you’ll have that little extra zing on your side to start crafting your own unique presence in the industry. Another great 41” guitar is this Maestro by Gibson. With a full dreadnought style body, you’re guaranteed to get a high volume, bold, vibrant tune throughout the session. Dreadnoughts are well-known and widely used by professionals due to their ease of playing. They also sit very well in your lap while you’re strumming. Kauri is a unique wood used with acoustic guitars to produce a slightly louder yet softer sound. They’re not as ‘hum’ sounding as mahogany, but they resonate very well which each string. Laminated spruce holds this dreadnought acoustic guitar together as some of the strongest wood around. 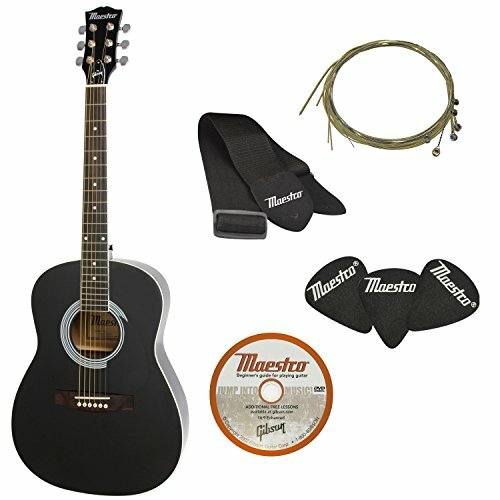 The kit for this acoustic guitar includes picks, straps, strings, and the guitar itself. You don’t really need much more, and for the low price point, it’s a steal in our opinion. Buying these items individually can put a dent in your wallet, but bought together they hardly add anything to the pre-existing price. Why We Liked It - We love the simplicity and size of this acoustic guitar. There’s nothing fancy about it, but it has all that you need to get started on your musical career. Once you know what body style, size, design, and kit you’re looking for, you still might be a little stuck. There’s a whole lot of options that match many different parameters, which makes it tough on you to find the right one. Different kits includes different items, which also might throw a curve ball in your decision. Especially in music, finding the right choice for you is essential. You can’t settle, and any musician will tell you that there’s a different feeling that comes with holding and strumming the acoustic guitar that’s meant for you. With that in mind, we wanted to help further guide you along to clear some things up and get you started on your way! Good beginner acoustic guitars have a wide range in price, but they usually go between $100 to $400 depending on the brand and whether or not you want a kit. Kits are usually the best way to go since they include everything you need to start playing at a much cheaper bundle price. It also depends on the longevity of your musical experience. 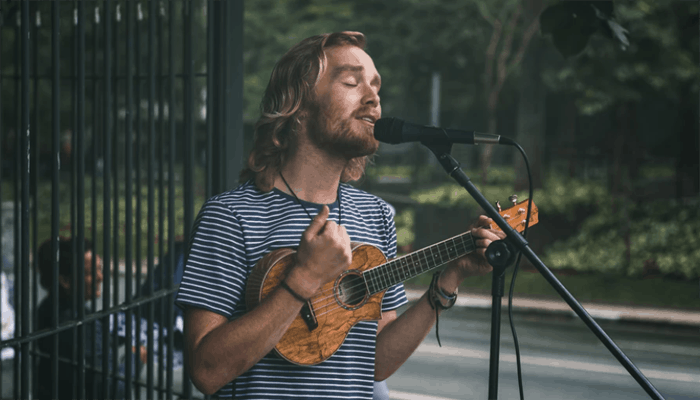 If you plan to play music for a long time, then investing more now might save you from buying a new acoustic guitar in the future. 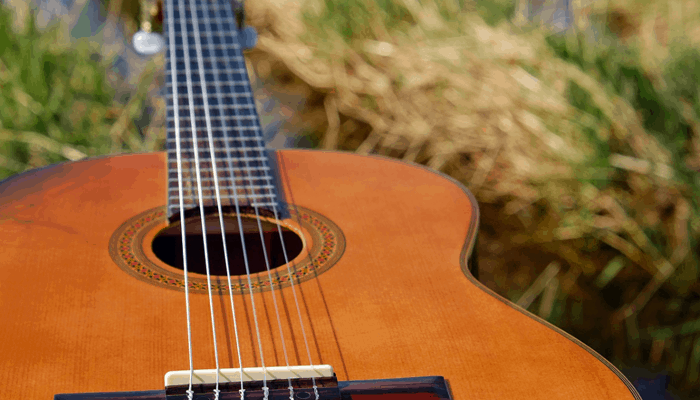 Finding the right acoustic guitar for you might present a few challenges. Don’t worry though, we’ve got you covered! The three key things to know when buying an acoustic guitar are 1) What size are you most comfortable with? 2) What wood are you looking for? 3) What design do you want? Each question has many answers, and those answers will point you straight to the best acoustic guitar for you! The best guitar strings for beginner musicians is a widely disputed topic. There are many great brands and many great versions from each brand. D’Addario is the most popular and accepted strings for beginners because they’re easy to change chords on and they don’t stretch too much. When strings stretch, they have to be returned. Thus, having strings that don’t stretch often means you don’t have to tune your guitar too much! The Epiphone DR-100 is a great cheap acoustic guitar for a beginner because it offers a decent bold output and it’s a very average size. This means that players of all sizes should have no problem adjusting and getting used to chord transitions and fret changes. It isn’t a kit, but it still includes the main thing you need to get playing: The acoustic guitar! The Yamaha FG820 provides the best all-around quality for beginners. 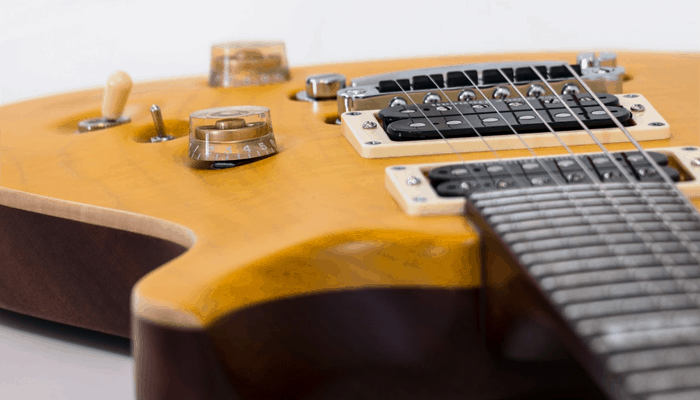 Yamaha is famous for the consistent crafting skills that easily make them one of the best choices for any level of guitar playing. The FG820 is no exception, and it continues to be a hot seller because of it. Looking for an acoustic guitar for a child can be tough because you don’t want to get the wrong size and ruin their experience with music. Luckily, the Yamaha FS800 Solid Top Small Body Acoustic Guitar is small enough for a child to truly enjoy the learning curve. It’s also large enough so you or whoever teaches them can use it comfortably while giving instructions. When you first start learning to play the acoustic guitar, try learning chords separate from strumming at the start. Mute the strings by placing your palm flat over them, and just transition from chord to chord with your left hand just to get the hang of it before you try it out with the strumming. Acoustic guitars make their sounds by the strings’ vibrations resonating in the body of the guitar, then coming out of the sound hole. This is why the choice of wood is so important when you’re selecting your first guitar. 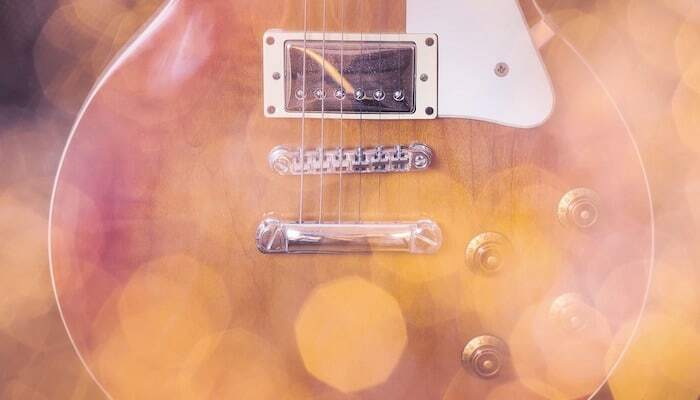 The most popular woods are mahogany and spruce, but plenty of guitars feature other woods with unique properties.